Will Your Child Hop to the Responsibility of Owning a Pet Rabbit? There’s no denying it; a pet rabbit is a lot less work than a dog. Here’s what you need to know before bringing home a bunny for your kids. People for Ethical Treatment of Animals (PETA) report that rabbits are one of the most abandoned animals in animal shelters. Bunnies are cute and rewarding pets, but they also need care and understanding. New owners should be aware that they need every bit as much attention as cats or dogs. Does your child want to have a bunny as a pet? Are they promising that they’ll take all the care and responsibility and you won’t have to do anything? 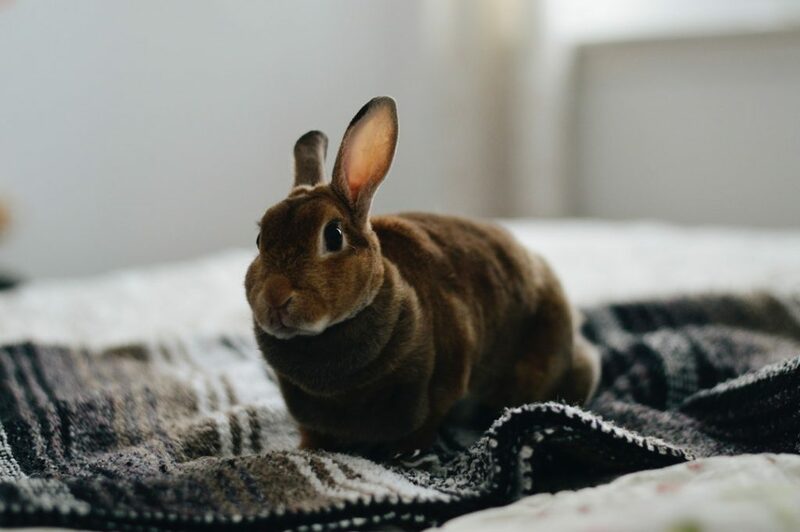 Here’s what you and they need to know about the responsibility of owning a pet rabbit. Bunnies are an attractive pet for children. Not only do they look cute and cuddly but when they are happy they “binky.” A “binky” is a charming little hop or skip that will make you and your kids giggle every time they do it. Despite all this cuteness, a rabbit is a living being. It’s not an inanimate cuddly toy that you can drop, put down when you’re bored with it, or drag around by the arm. Rabbits have needs that aren’t easily met by small children. As rabbits are prey animals, they’re startled and stressed by loud noises or quick movements. They’re always on the lookout for predators. When kept as pets, these natural characteristics still exist. Rabbits don’t respond well to getting picked up or handled. They like to keep their feet on the ground. They can be an affectionate companion, but if your child is looking for a pet to cuddle and carry around, a bunny is best avoided. Where’s It Going to Live? You could house your bunny indoors or out. An indoor bunny is safer, protected from predators and the weather. It can also be better socialized as part of the family and more easily cared for by children. A medium-sized rabbit will need a cage of at least 20 inches wide by 36 inches long. If you have more than one rabbit, you’ll need a bigger cage. It will need to be let out from time to time to exercise freely. You’ll need a litter tray that fits in a corner. Train your rabbit to use the litter tray by moving any soiled bedding to the tray. It’ll get the idea that it should use the litter tray and save you a lot of trouble because you’ll have to change the bedding less often. How Much Space Do Rabbits Need? If you keep your bunny indoors, it will need some space to exercise. You could create a bunny-proof room allowing your rabbit to roam freely but with some adaptations. Bunnies love to chew so protect furniture, cords, and soft furnishings. Supervise the rabbit if you allow it to have a run outside or away from your rabbit-proof area. A puppy pen can also be a help. Exercise caution when mixing rabbits with other pets. Rabbits may be cautious of people and other animals but they generally like other rabbits. They’re sociable animals living in groups in the wild. As a group, they share responsibility for looking out for predators. When they’re on their own, they have to be constantly on guard. Having two or more rabbits means you have more chilled rabbits, but this raises another issue. Rabbits are famous for one thing above all others. They can multiply at a surprising rate. Spaying and neutering of rabbits is essential if you don’t want to become overrun with bunnies. Rabbits need a varied diet of fresh vegetables and rabbit hay. The hay or grass should represent the main food. Mix up the fresh vegetables to provide a full range of nutrients. You could include apple, broccoli, lettuce, kale, and yes, even carrots. Feeding a rabbit is something that can be done by children. Rabbits will even take food from their hand! Rabbits are not problem-free. They can get ill and if they do, they need specialized veterinarian care. It’s important to monitor the health of your rabbit and notice if they’re under the weather. This is probably not a task to leave to the kids. It’s best to have an annual visit to the vet to check for parasites and to check their teeth. Rabbits also need vaccinations. Take out pet insurance to avoid any big veterinarian bills. What Time Is It Mr. Rabbit? Rabbits don’t keep the same timetable as humans. Your kids will generally sleep at night and be awake during the day. Rabbits sleep patterns are crepuscular. This means they sleep during the day and night but are awake in the early morning and evening. Children need to understand that a rabbit lives on a different timetable to them. Early morning rabbit activity might be annoying if you need your sleep. Afternoons might find your bunny uncooperative. Dusk, however, is a great time for pre-bedtime play. Rabbits are a relatively long-lived pet. Unlike many small rodents that live for a couple of years, a rabbit can live for 10 to 12 years. That’s over a decade of daily and weekly rabbit care. Let’s say your child is 12 years old, and they’re promising to look after the rabbit. Are they seriously committing to taking the rabbit to college with them? What about after college when they’re working? A pet rabbit is a long-term commitment and if your child isn’t going to take on the whole of life care responsibility, are you willing to commit to it? Bunnies are great pets. They’re cute and rewarding companions, but they’re a responsibility too. For ideas on things to do with your family, read more on our lifestyle blog.